“Do you have any tips for counting rows of slip stitch crochet ribbing?” This is one of the most common questions I get asked. Crocheters share their frustrations with me stating that they’ve lost count and had to frog their work and start over. Can you relate? If so, you’ll love my 1 Simple Method to Counting Rows! During testing of my Tearlach Beanie & Slouch I put together a quick tutorial for testers and they loved it! That’s when I realized others may benefit from this simple method as well. 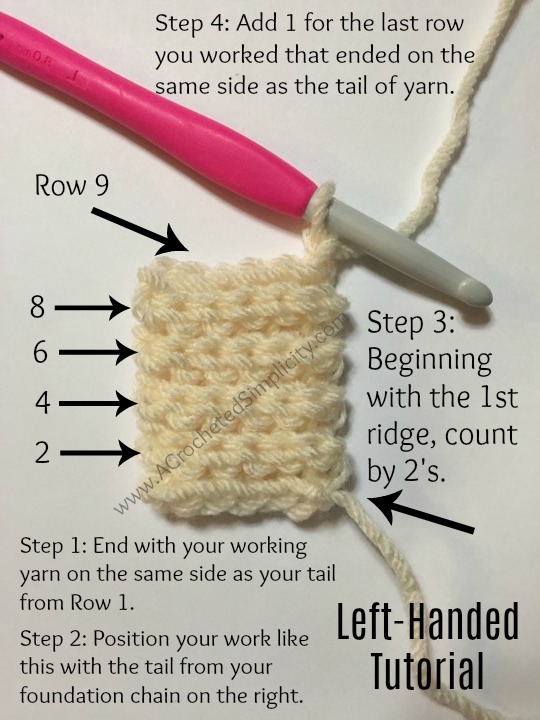 I’ve put together this tutorial for both right-handed and left-handed crocheters and since I’m not left-handed, I asked my friend, Kathy from ELK Studio, if she would look it over for me to make sure it worked for lefties! 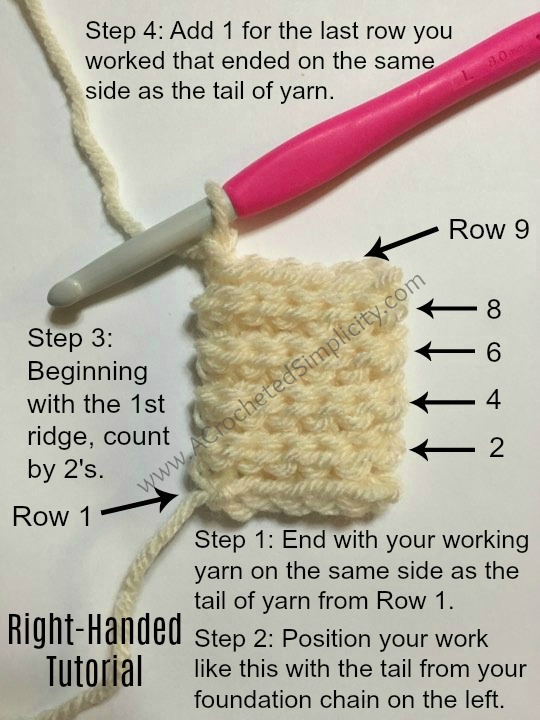 Although this tutorial shows rows of slip stitch ribbing, you can use it to count rows of almost all crochet stitches. To do so, simply find the ridge that 2 rows creates and count the same way! 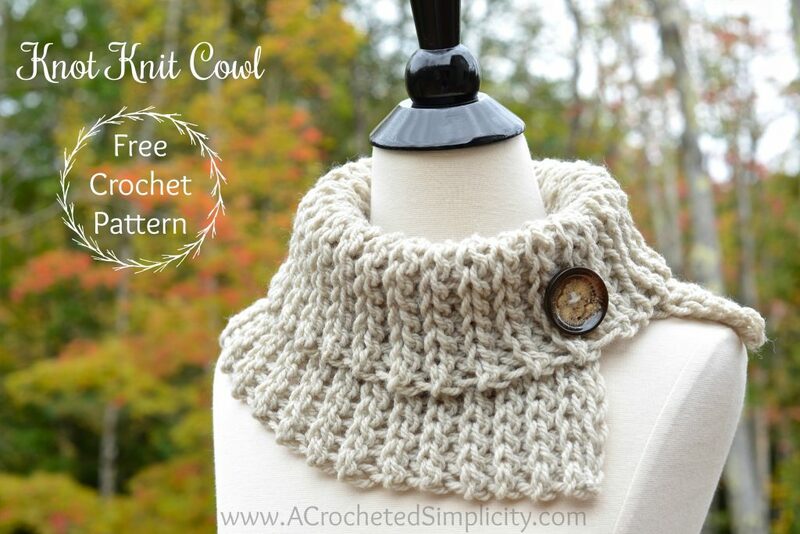 Please share your finished projects with us in the A Crocheted Simplicity Crochet Community Group on Facebook! Hi. How do I count when using school in a circle? I am making baby groots and the pattern asks for 9 rows sc.